Wärtsilä, a leading global supplier of flexible and efficient power plant solutions, has been awarded the contract to supply a 384 MW gas power plant to Azerbaijan. In terms of output, this is the largest single power plant order that Wärtsilä has received to date. When completed, the Boyuk Shor power plant located close to the capital Baku, will be operated by Azerenerji JSC, the state-owned utility. The order is included in Wärtsilä's second quarter 2012 order book. Wärtsilä's scope of supply will be 21 Wärtsilä 50SG engines running on natural gas, related auxiliaries and process equipment. The plant is scheduled to be operational in autumn 2013, and will supply electricity to the Baku regional grid. One of Wärtsilä's key strategic targets is to achieve growth in the gas power plant markets, and this latest order strengthens its leading position in this field. 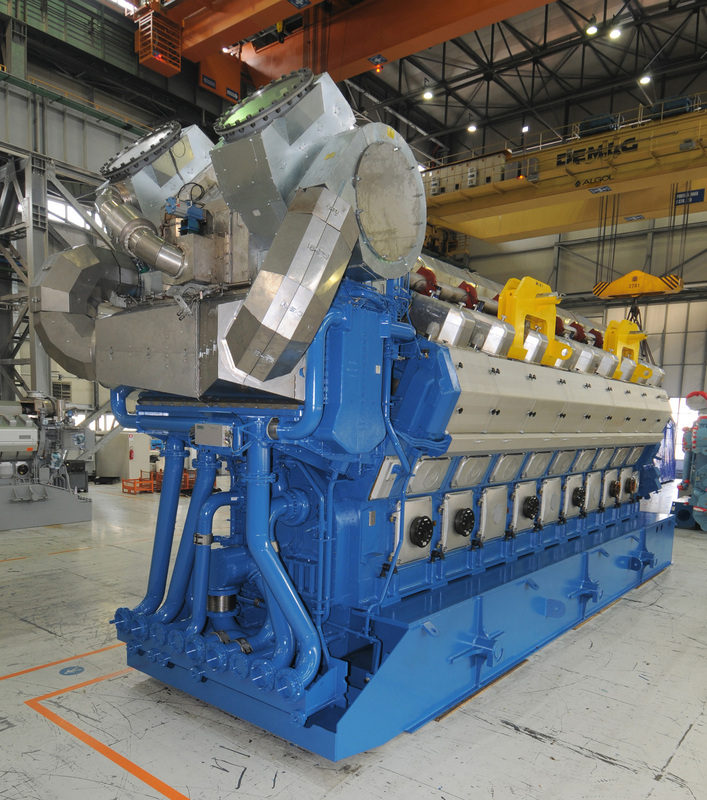 The order is also a testimony to the success of the Wärtsilä 50SG engine, the world's largest gas-powered generating set, and which is perfectly suited for this type of power plant. An important feature of this engine is its exceptionally high power plant net electrical efficiency rating. The fact that it operates on natural gas ensures that emissions are low, and the engine's combination of high efficiency and low emissions is probably unequalled in the market. "Wärtsilä's already strong presence and unmatched track record in Azerbaijan is further enhanced with this important order. Over the years we have developed a good relationship with Azerenerji and have worked closely with the company to develop its electricity supply capacity. We have, at the same time, proven our ability to deliver on a fast-track basis, which was a major reason for us being awarded this contract," says Vesa Riihimäki, Group Vice President, Wärtsilä Power Plants. Azerbaijan and the Caspian Sea region, is an important and growing energy market. Wärtsilä has been present in Azerbaijan since the middle of 1990's. Wärtsilä has already supplied seven power plants in Azerbaijan, producing a total of over 860 MW of power generating capacity. The Wärtsilä 50SG is a four-stroke, spark-ignited gas engine operating on the Otto cycle and incorporating the lean-burn principle. It has been designed using the proven gas technology used in the smaller Wärtsilä 34SG engine. An important feature of this engine is its exceptionally high power plant net electrical efficiency rating - more than 50 per cent in combined-cycle mode. The lean-burn gas engines (SG) feature port admission of gas, a pre-chamber with controlled gas flow, as well as individual cylinder control of the gas charge and ignition timing. This choice of concept, along with extensive research in combustion and combustion control, has made it possible to elevate the efficiency from 40% to more than 48% in the bigger engine models. The combination of high efficiency and low emissions is probably unequalled in the market.